Brilliant time for career growth and prosperity! 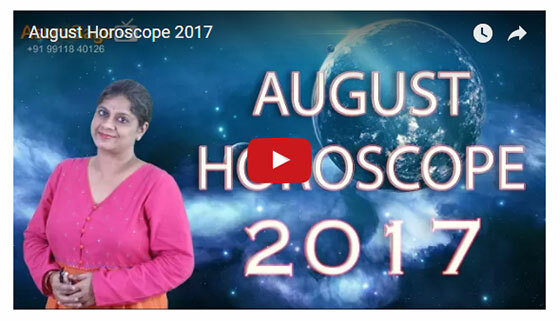 Get all your queries answered and resolved in the predictions for the Monthly Horoscope for August 2017. The time is brilliant for you to consider changing your job. The natives who are prepared to get married will get the support of life partner this month. You might get to see your old friend by the mid of the month and rekindle your relationship with them. Read more..
Get all the answers to your marriage related woes with a Detailed Marriage and Children Horoscope Report. A sudden change in business would make you go through some changes; these could also trigger a holiday or a small trip. In trading, chances of getting benefits from foreign sources are high. This month you'll acquire a knack for spiritual and religion deeds. Read more..